The Thunderbird range of motorcycles from Royal Enfield has been a really tempting option for those who are into motorcycle touring and were perhaps looking for a cruiser-styled motorcycle but wanted to be a part of the fraternity of the "RE Riders". Well, then, there is good news for those folks! 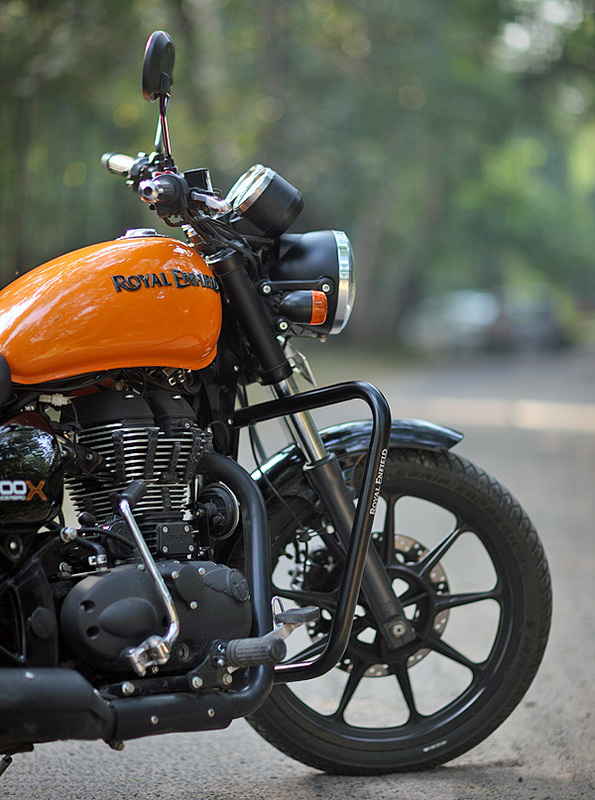 The Royal Enfield Thunderbird X uses the same tried & tested formula but now brings in a bright skin along with some minor touches here & there to make it more appealing and probably street friendly. 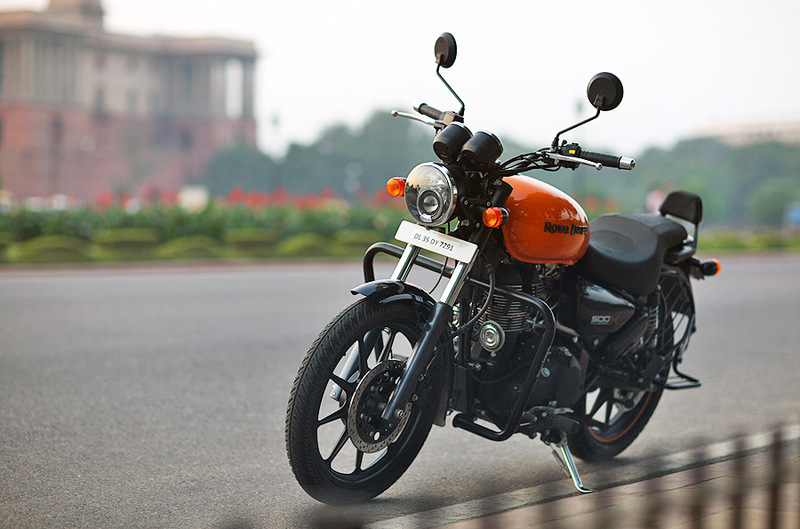 Available in the same 350cc and 500cc variants, the bikes look really attractive in these all new colour schemes. The play of colours when it comes to the bright fuel tank with blacked out rest looks stunning and makes the bike more appealing to the younger audience, if I may. 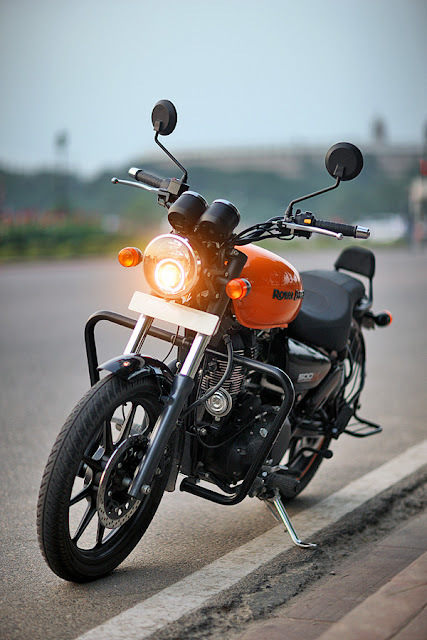 Sportiness comes in the form of a short handlebar, smaller seat (but comfortable), alloy wheels that have been blacked out and ofcourse the fuel tank that's brightly lit! The colours that RE is going for with the X series of Thunderbird motorcycles are blue and orange for the 500X and red and white for the 350X. Looks are ofcourse subjective but I wanted to find out how does it ride because that is where the real deal lies, right? Well, the 500X uses the same Thunderbird 500's underpinnings; so, it rides and handles pretty much like your old Thunderbird. The riding position has changed a little bit and that's majorly because of the new short handlebar. It has become more aggressive now rather than the laid back position which the older model had. I love the new position as it makes me feel more involved with the entire experience of riding the motorcycle. 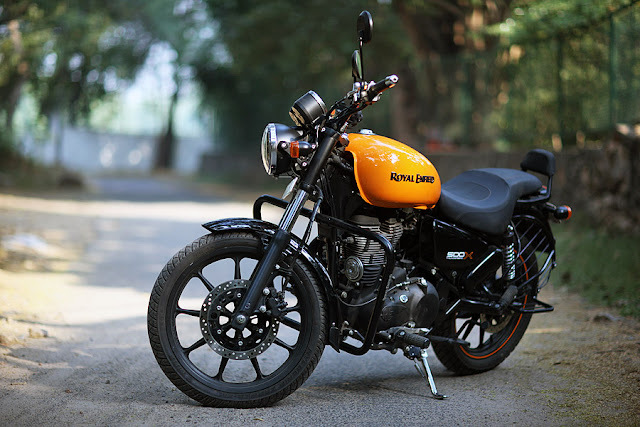 One huge change that RE has done, that's probably a first for Royal Enfield is the shift to alloy wheels instead of the standard spoked wheels. 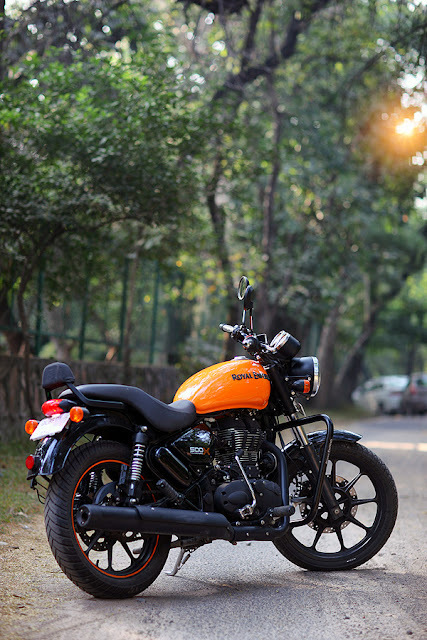 Now, this has allowed Royal Enfield to use tubeless tyres on the Thunderbird X. The profiles remain the same though (19-inch front & 18-inch rear). Come to ride the machine and it does feel quite familiar. Powerplant remains the same 499cc single cylinder air-cooled engine that makes 27.2bhp at 5250RPPMs and 41.3Nm of torque at 4000RPMs. It does pull pretty cleanly and gets upto decent speeds pretty quick. However, there are certain vibrations that were felt around the 3,000rpm mark that goes away as soon as the engine revs past that range. Another thing which I really loved about the new Thunderbird X is the gearbox that shifts perfectly into place every single time. Gone are the clunky gearboxes and that is such a huge relief when riding in city-traffic, especially. My overall experience of riding the 500 Thunderbird X has been wonderful. If you are in the market purely looking to buy a Thunderbird, then the new one makes a lot of sense, purely for the modern looks that the bike has. The 500X is priced at Rs.1.98L (ex-showroom Delhi) which is about Rs.8,000 more than the "regular" Thunderbird 500. Yes, the riding posture is a bit changed, the seat might feel a tad small, but for me, those things add to the overall experience of riding the motorcycle, which now feels like a wonderfully complete package. What surprises me the most and breaks my heart even more is that we are in 2018, when ABS has been implemented even on 150cc motorcycles, and RE already has ABS implementations and quite good ones at that, and still the 500X misses out on ABS. I would term it as bad product planning. ABS should be made standard across RE's stable as it has more responsibility towards it's customers life than their bank balance. Secondly, I know the 500X was planned before the 650 twins, but when the final product came out, the 500X should have had the sub-frame of the Interceptor. That would have provided a lot of lateral rigidity to the 500X and would have taken the handling to an entirely new level.